Birgit DeLaidatti is a missionary to the United States! Birgit (pronounced beer-git) is from Estonia. (Estonia was occupied under communism since the end of World War II and finally was freed in 1991.) God spoke to her and said, "Pray for United States". She asked, "why Lord, they're Christians, they don't need prayer." God said, "pray for the sleepy church in America". "Pray for young Christian families". "Come against the spirit of divorce". When she came to the U.S. she begin to see the things God was telling her to pray for. She was overwhelmed travailing for the U.S. so much she cried to God and said, "I can't fix this country!" Then God said, "you just go and tell your testimony and I'll do the rest of the work". She learned English by watching Little House On The Prairie! Birgit gives her testimony and tells how God can give and also take away. 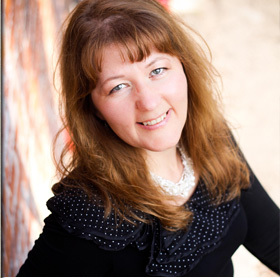 Birgit speaks four languages, was a school teacher & also interpreted for many preachers in Estonia! Birgit is available for weekend ministry only. Call for details.